Test your drug of interest in combination with other therapeutics to identify pairs with synergistic, additive, or antagonistic effects. We determine potency (EC50), efficacy (maximum response) and growth kinetics of 2 compounds alone and in combination, using size and ATP (viability) endpoints over a 10 day dosing period. Reveal synergistic combinatorial growth inhibition. 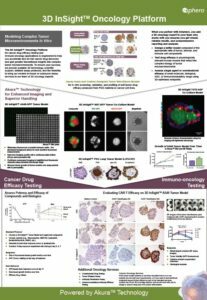 Simultaneous treatment of MX-1 (breast)/NIH3T3 tumor/fibroblast co-culture spheroids with Gemcitabine and Docetaxel reveals more potent combinatorial growth inhibition compared to treatment with either compound alone. 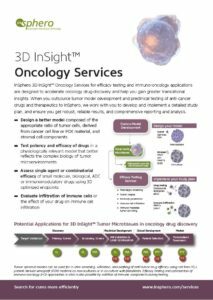 Utilize bright-field assessment for continuous, non-disruptive assessment of tumor growth. 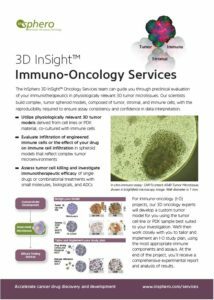 Simultaneous treatment of two test compounds as pairwise combination in melanoma primary cell derived microtissues.